If you’re looking for a quiet, tucked away beach in a beautiful setting, Ayia Paraskevi Beach is worth a visit! There’s a small church on the beach, as well, which only adds to the special atmosphere that this beach has. There’s a strip of sand here that makes this beach enjoyable, and there are also sun beds to relax in. The water is also crystal clear and incredibly warm. This cozy beach is secluded without feeling isolated. 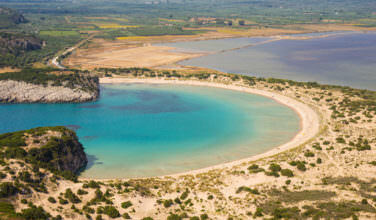 Located close to Dapia, the main town on the island, this is the most popular beach on Spetses. There’s also a small chapel here, which adds to the beautiful atmosphere. Agia Marina Beach is surrounded by a small forest, which not only adds to the natural beauty but also provides some valuable shade. There are both pebbles and sand here, so if you plan to spend some time walking, you’ll want to wear comfortable shoes. To reach the beach, you can either take a public bus, a taxi, or a water taxi depending on where you are on the island. If you’re looking for a beach that is highly developed, Agioi Anargiri is exactly where you’ll want to be! Located in a gorgeous cove, there are both pebbles and sand here, which means that you’ll want to wear the most comfortable shoes. This is also the beach to be if you love water sports, such as scuba diving and snorkeling, the deep waters here will make them even more enjoyable. 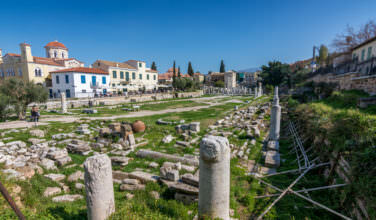 There are also plenty of tavernas nearby, which means that you won’t need to pack a picnic lunch and can sit at a restaurant when you need a break. Are you looking for a gorgeous beach that’s close to the main town on the island? If so, you should consider visiting Kaiki Beach! Located just 2 kilometers from the main town, this beach also draws a lively crowd since it’s so close to the college. This makes the beach popular with tourists and locals alike. It’s also an easy walk from the town and should only take about twenty minutes to get here by foot. 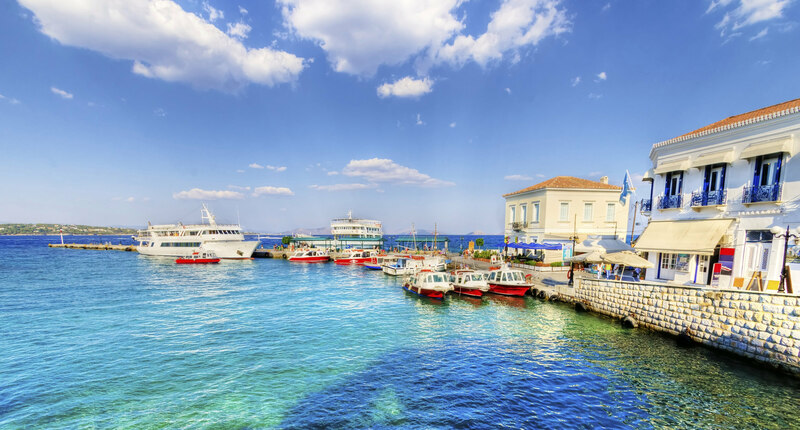 There’s no doubt that Spetses is a peaceful and relaxing island. 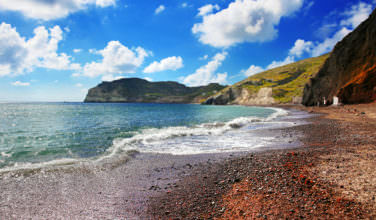 These beaches offer guests the chance to enjoy the sun and warm Grecian waters without the hassle of the heavy tourist crowds that can be found on some of the larger islands. These beaches are worth a visit!